Another set of excellent releases and updates on John Carter from our good friends Modiphius Entertainment. 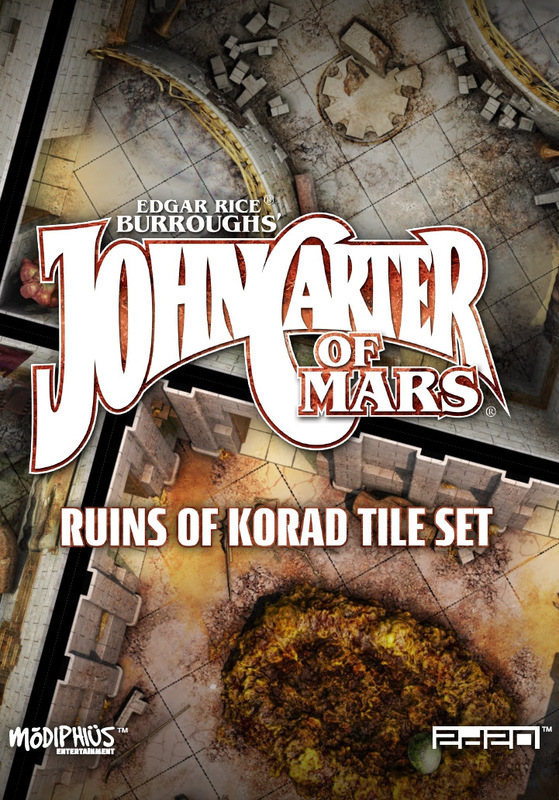 Today we’re delighted to announce the release of two brand new Tile Sets in PDF for the John Carter of Mars RPG. 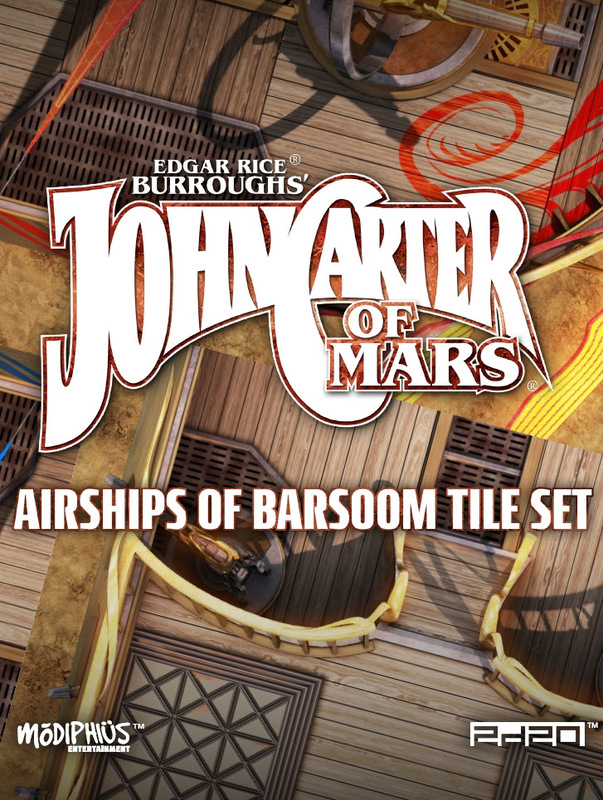 Ruins of Korad and Airships of Barsoom are now available as part of the John Carter of Mars Collection on Modiphius.net and DriveThruRPG.com. We hope you enjoy these latest John Carter of Marts PDF releases. They join a wealth of recent John Carter releases in the collection including the core book in print,Phantoms of Mars campaign book, Slipcase Set, Narrator’s Toolkit & Screen, Dice Sets, miniatures sets like the Heroes of Barsoom and individual minis including the fearsome white ape, Banth and Apt.